About three years ago, publisher Doug Schneider and I toured Simaudio’s factory, in Montreal, Canada. Following our look-see, we sat down with two of the company’s executives and discussed the future of home audio. We agreed on many a thing, but not in one key area: While Doug and I were convinced that USB connectivity in digital-to-analog converters would be universal within a year or two, the Sims disagreed. But that was then. When Simaudio’s superb Moon i3.3 integrated amplifier debuted at the 2009 Consumer Electronics Show, I couldn’t help noticing that its internal DAC had a USB input. You can imagine my shock when I learned that Simaudio wasn’t going to pay us a royalty. All of the 300D’s digital inputs are selectable from its front panel, and it can accept signals ranging from the standard CD word length and data rate of 16 bits and 44.1kHz all the way up to 24/192. The USB input is limited to 16-bit/48kHz. Simaudio says that the 300D upsamples all digital signals to an impressive 24/352.8 with 8x-oversampling done by a Burr-Brown PCM1793 chip. This is said to virtually eliminate the jitter and digital artifacts that can compromise sound quality. Further precautions taken to ensure a clean digital signal include the physical isolation of the digital circuits on their own dedicated board. 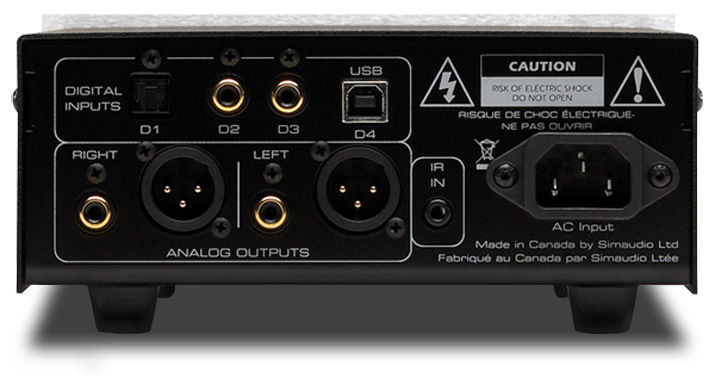 The 300D’s other board houses its robust power supply and analog output stage. 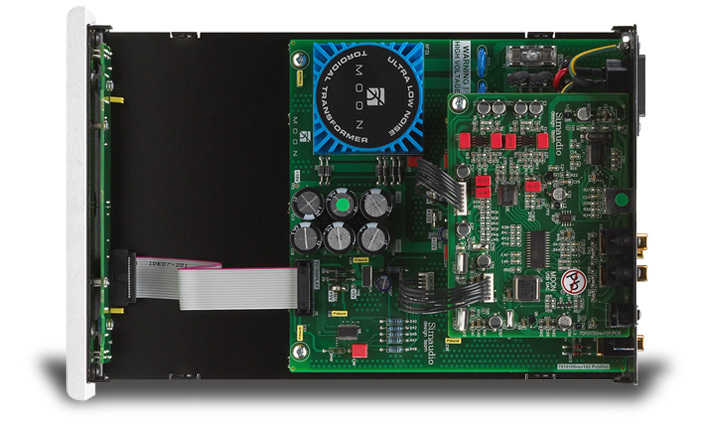 Simaudio says the 300D’s power supply is "oversized," with eight stages of voltage regulation that ensure that circuits get precisely the voltage they require to optimally perform. Current is stored in a relatively huge capacitor bank offering over 13,000µF of instantaneous juice -- quite a lot for a DAC. Sim says that each unit’s internal parts, including Wima bypass capacitors and tight-tolerance resistors, are matched to a high degree of accuracy to ensure consistent performance across both channels. Also designed to maximize performance are the thick circuit-board tracings of pure copper. The 300D has a standard IEC power inlet, and single-ended and balanced analog outputs. I hooked up the Moon 300D to one of its siblings, my reference Moon i5.3 integrated amplifier, via Crystal Cable Piccolo interconnects fitted to the DAC’s single-ended outputs. The USB signal from my dedicated music-server PC (Windows 7 and Foobar2000 with EAC rips) was transmitted to the 300D over Synergistic Research’s Tesla Tricon USB cable. 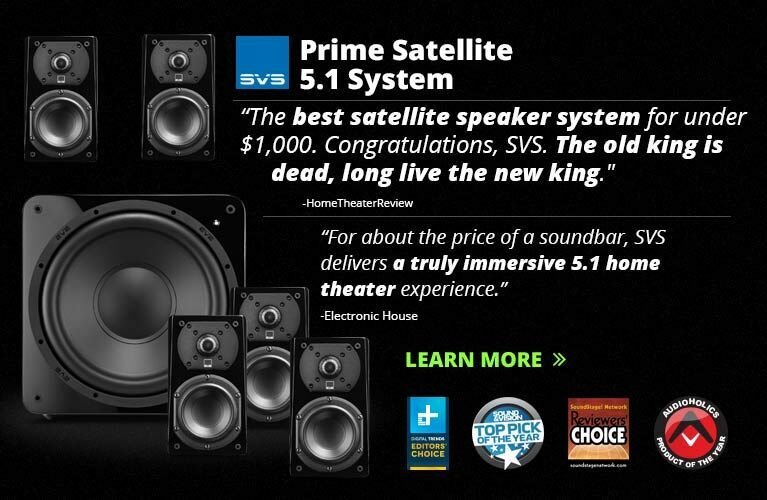 My pair of Definitive Technology Mythos STs were the sole reference speakers used for this review, connected to the i5.3 with Crystal Cable Piccolo speaker cables. The i5.3 comes with one of the chunkiest remote controls known to man. Machined from a solid block of aluminum, it’s heavy enough to dent a hardwood floor if dropped. As befits its majesty, the remote can control any Simaudio product that has an IR receiver. The 300D does not. It’d be great if it did, for those occasions when you want to change inputs but don’t want to get out of your chair. Not because you’re lazy, of course, but only because the audio rack is so . . . far . . . away . . . 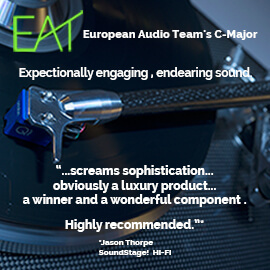 In my experience, Simaudio components -- whether the inexpensive Moon i.5 integrated amp or the high-end Moon Evolution SuperNova CD player -- live up to the company’s description of its house sound: "clean, powerful, fast and extended bass combined with an open midrange and airy extended high frequencies." There seems to be a direct correlation between a given Sim component’s price and the degree of intensity of these characteristics in its sound. However, it wasn’t the Moon 300D living up to any of those characteristics that first caught my attention, but the fact that it didn’t seem to be in the circuit at all. Such is Simaudio’s ability to re-create its house sound across its product range that this $1599 DAC had no discernible effect on the sound coming from my $4000 amp, Sim’s own Moon i5.3. All of the purity, deep bass, clean treble, clear midrange, and wide soundstage I’m so used to hearing from my reference amp was being passed along intact. The unscientific term for this is "Wow." The remainder of this review will thus be a cutting-up and pasting-in of Philip Beaudette’s look at the Moon i5.3. I can do that -- I’m the senior editor. What? There’s a editor-in-chief? Ah, well then . . . on with the show. In the liner note of Matthew Montfort’s Seven Serenades for Scalloped Fretboard Guitar (CD, Ancient-Future.com AF 2008), the guitarist explains that he first came upon the idea of creating an essentially fretless guitar in the 1970s. Montfort’s scalloped guitar allows the artist to press on the strings without pushing them onto the frets under them, which means that the only thing influencing the string’s tone is the player’s finger. What this does for the guitar’s tone is amazing. Harmonics that would have been canceled out by wooden frets instead leap from the strings. Through a system that can resolve high degrees of detail -- in my case, one including the Moon 300D and Moon i5.3 -- the effect is fantastic. The reflection and intermixing of tones is like light shimmering off water. Depending on the quality of equipment doing the decoding and amplifying, the reflected picture can be ill defined or, in the case of the 300D, mirror sharp. Some of my favorite high-resolution ditties come courtesy of Ray Kimber’s IsoMike recordings, in particular IsoMike Recordings 2005B (SACD/CD, Isomike.com). Tracks like "Male Quintet Test B" and "Jazz/Blues Test A" may have uninspired names, but man, do these recordings cook with gas. IsoMike recordings excel at re-creating the dimensions of recording venues while keeping the performers in sharp focus. The track I like best from this disc is "Drum Kit Test," which, for all of its 89 seconds, fools me into believing that a drummer has set up shop between my speakers. Through good electronics, this unnamed drummer sounds like . . . oh, let’s say Ed Shaughnessey, no. 50 on the "Top 100 Jazz Drummers" list. Through really good gear, he’s climbed as high as Philly Joe Jones (no. 23), and such excellent components as the Benchmark DAC1 have moved this kit basher into the top 10. The Moon 300D? At least a Roy Haynes (no. 4), maybe even a Max Roach (no. 3). Yeah, it’s that good. When a component sounds as good as the 300D, the sadist in me wants to make it sweat. Toward that end I fed it War Dance, from Eiji Oue and the Minnesota Orchestra’s recording of the Suite from Respighi’s Belkis, Queen of Sheba (CD, Reference RR-95CD). I’m not up on my Sheban history, but if its army was half as powerful as War Dance, then it must have been scary as heck. This work is all about explosive crescendos, sudden starts and stops, and enough horns to bring down the walls of many Jerichos. If a component has weak control, War Dance will run amok. If it isn’t capable of easily dealing with sudden, huge voltage swings, War Dance will make it stumble. Intimidating this track may be, but the Moon 300D refused to let itself be pushed around. War Dance sounds best when it’s kept right at the edge of civility, and in this instance the collar around its neck was fastened to the leash that was the Moon 300D. Hoo-hah! It happened that Simaudio’s Moon CD3.3 CD player ($2999) was in da house at the same time as the Moon 300D, thus providing me with the opportunity to pit two Simaudio DACs head to head, thanks to the CD3.3’s digital output jack. 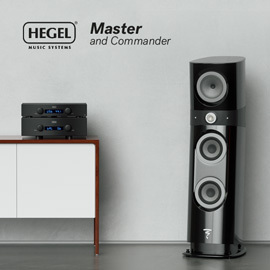 At first I listened to the CD3.3 and its internal DAC, followed by the player’s digital output passing through the 300D. This added the variable of Furutech’s FX-α-Ag digital cable, which linked the CD3.3 and 300D. 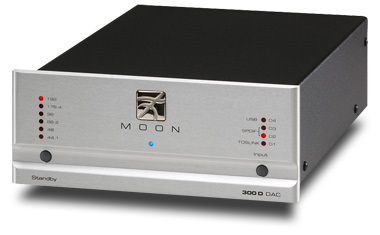 The Moon 300D sounded at least as good as, and sometimes better than, the Moon CD3.3 and its internal DAC. Considering that the 300D costs $1400 less, that’s quite a feat. There was definitely a slight darkening and mellowing of the tone when the CD3.3 was connected to the 300D, but I strongly suspect that the Furutech digital cable was responsible for that. If anyone ever needed proof that cables can act as tone controls, there it is. Listening to the same recordings with both, but this time with my computer as the digital source for the 300D, I found the standalone DAC to have the edge across the board: cleaner treble, tighter bass, smoother midrange, better detail. The differences were small, to be sure, and probably were the products of the difference between a stable hard drive and a wobbly CD. Nonetheless, those differences were clearly audible -- and quite impressive, given that big difference in price. 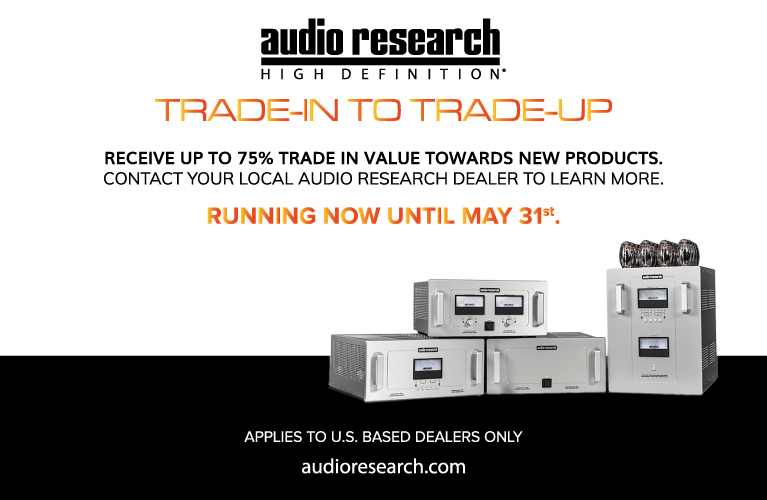 Simaudio is on a winning streak. In the past few years the company has gone from hit to hit with nary a dud in its lineup, and the Moon 300D D/A converter is no exception. It has all the traditional Simaudio virtues in spades, plus an even-greater-than-normal degree of performance per dollar spent. Even when I’m being exceedingly picky, I can’t find fault with this excellent DAC. The only downside to having reviewed the Moon 300D is that I can’t let it go. Simaudio, the check is in the mail.